Baby #2- We Love You! 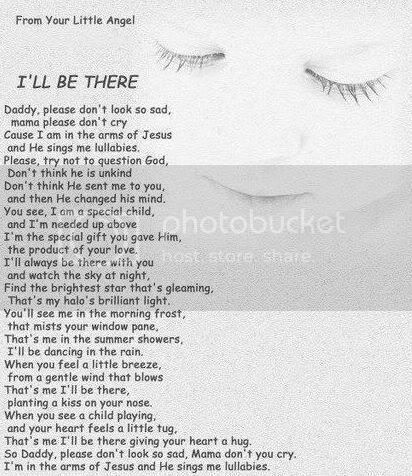 As a tribute to our baby #2 I thought I would put some of the digital clipping together that we have. I feel very blessed to have this child in our life even if it was a short amount of time. For those of you who do not know I have a miscarriage at 11 weeks and 6 days. The babies due date was our 5 year anniversary on June 20th 2014. I will always remember the effect the baby had on my life and hopefully yours too. I will write this as I would to the baby. (Please let me know if your name is on this post and you would me to take if off). We were so excited to share your new life to the world. We announced the exciting news on facebook. There was 144 likes and 40 comments about the exciting news. Faye Crowell So exciting! And I want to know how you did that awesome chalk artwork! Ashley Heilman Bilotti That is awesome news Lisa! Congrats!!! Jane Goss Good news! Congratulations ! Lisa Rusczyk Faye Crowell she did it all by herself! A little Etsy and a little photoshop. Tiffani Marie Congrats George and Lisa! Great news and timing. Ashley Heilman Bilotti And this photo is SUPER cute!!! Gloria Marie Pelcher congrats! cool! awesome pic! Betty Fox Keeley Oh what a sweet way to announce, congratulations!! Carrie Campbell Bruning Congrats again! I’m so excited for the three of you. Corrina Ann Malantonio Clemens Congrats! Wendy Walsh Wow she will be a great big sister. You are both great parents. Carmella Di Rocco Fermamento Great news! Congrats!!! Megan M congrats you guys! Before we shared the news with facebook we told our family capturing some of the best moments. We even received our first photos of you on November 7th. Many people liked the post. I even got to take this fun picture with “Aunt” Emmy. 1. I went for a visit to the GYNO to make sure everything was ok for us to have children only one month before I got pregnant. When we went in for the appointment the doctor told us it looks like everything is ok to get pregnant and we said we know. 2. I have been very nauseous the 1st trimester of both pregnancies. So sick that first time that I said if there was an off button I probably would have pressed it. (Glad I didn’t). 3. I knew so little about being pregnant that I wrote a self-published book about it. Over 2,600 copies were downloaded, over 1 million views on my blog, a local television appearance, and a local news paper article happened because of my inexperience. 4. The first epidural did not work. After thinking about what to do next I decided to have another (that one did work). I sang my abcs when I got both of them to keep my mind busy. 5. My first labor was about 10 hours after an hour drive to Danville when I live 2 blocks from our local hospital. 6. I did not get stretch marks until Christmas morning last year. I found out because my husband asked what was on my stomach. I think he knows better this time around . 7. I secretly thought that my body knows what it was doing this time and I would not have any sickness. I was wrong! but feel very blessed that I am pregnant again. During this time I has nausea during pregnancy and wrote this blog post. Since then it is one of the top posts on Charlie the Cavalier and many woman continue to read the post. The post would not have been written if you were not with us. The post has been viewed over 4,500 times to date. Sorry I have not posted in a while. I have actually been keeping some secrets from you. As you know I have one beautiful little girl. But after 7 months of trying I wanted to share the news with you. I am pregnant again!Many people have asked “Are you feeling sick?”. They knew I did not do so great with my first pregnancy. Well I was hoping it would not happen again, but I am nauseous again. I am currently in bed feeling nauseous and writing this blog post to pass the time. During my last pregnancy I worked 40 hours a week and commuted 8 hours a week. This time I am a stay at home Mom who it teaching a toddler to sleep in a toddler bed and to go the bathroom on the potty. I do enjoy my job now, as I can on most days get a one hour nap during the day which was difficult at lunch time under my desk at my last job.I get upset at the fact that I don’t want my husband to cook because the smell in the kitchen. I am sad because I think my body should be better than this. I know all this will be worth the trouble after the baby is born. I have been through this before and I can do it again. I need to remember that this is not my fault.I wish I was a good pregnant woman. My definition of that is someone who gets pregnant the month that they choose, does not having morning sickness, eats healthy, does not have caffeine, and exercises throughout pregnant. Then gives birth in a couple hours and finds breastfeeding easy. Well that is not how my first pregnancy went. Maybe the second will be closer? Not so much. My experience has only allowed me to understand what is next in my journey. Here are some things that I have been told cure pregnancy nausea. I will keep you updated on facebook as I try out the different things. What cures pregnancy nausea for you? Please share your comments below. Again I am not a doctor so if you are pregnant you may want to check with your doctor before trying any of these. I have been told ginger works so ginger candy is a great way to get ginger in your body when you don’t want to eat anything. I ate boxes of these my first pregnancy. They are easy to pack and munch on during work, in the car, or at home. Hopefully you can have more than just saltine crackers at a meal. I did have some ginger tea my last pregnancy and while drinking the tea I did feel better. I don’t believe in these bands. But if they work for you great! I wish they worked for me. I had two on my wrists and got sick in a cruise ship bathroom while wearing them. Not for me. I would like to try this. If you only had to sniff something and have relief I think that would be a good option. At one point in my last pregnancy I drank one of these in the shower. I tried everything. Maybe a hot or cold shower will make you feel better. Going for a walk in the fresh air may change your mood. If you don’t like ginger this list is not for you. Mythbusters did prove that Seasickness can be cured by taking a ginger pill. Both Adam and Grant made it through their spin-chair sessions without feeling ill. When I finally get to sleep I don’t feel nauseous. Praying is another great way to remember how grateful you are and forget how you are hurting. Here are some Pregnancy Bible Versus to keep you on track while praying. With Pregnancy eating, my body was changing as your grew. Then we found out that you were no longer with us after a couple doctors appointments. I was very blessed to have your Dad and Sister there when I found out. After telling a few people by phone and on the internet your Dad wrote this well stated facebook message with 59 likes and 75 comments. Melissa Dunn Weaver Prayers for comfort. Christy Brower Kirsch Thoughts and prayers are with you and your family! Kate Carp I’m so sorry to hear. Sending prayers to your family. Carrie Campbell Bruning I’m so sorry for your loss, George. I’ve had a chance to express that to Lisa, but not to you. Prayers for both of you. Jeni Lee Firefly Praying for you both sorry for your loss. Sandi Adamczyk Januszewski So sorry! Amanda Snyder Thinking of you all! Ashley Heilman Bilotti Prayers for Lisa & your family! Jared A. Conti Love you muchly. Sarah Loftus Sorry for your loss. Sending prayers to you and your family. Joanne Nagle Praying n thinking of u all. So sry for ur loss. Xoxo. Alison Moore Smith I’m so sorry. Such a sad thing, I know. Prayers and hugs. Chrissy Wise Sorry for your loss…you are in our thoughts! Tara Bakaj So sorry for your loss…Please give my condolences to Lisa. Your family will be in my thoughts and prayers. Charlotte Whitney So sorry, Lisa. Kyle Brett I am so very sorry to hear this. Sending good thoughts. Paula Kreiser I am so sorry for your loss. Thoughts and prayers. Keep the faith. Kathleen Coe Clegg So very sorry to hear this. Blessings to you both. Tracie Heller I’m so sorry. Praying for your family. Michelle Roushey Gensil So sorry to hear thoughts and prayers to all of you. Angela Watchey-Francke Sending many prayers and love. Robin Corey Rockey Sorry guys…thinking of you both. Leo McNeil Your families in my prayers. If there is any family that can be resilient enough to get through this and still come out strong its you and Lisa. You are both great people. Erika Saladino I’m so very sorry….Will be praying for you both. Caitlin Baran I am so sorry to hear about your loss. My thoughts and prayers are with you and Lisa. Erin Rohr My thoughts and prayers are with all of you! Tiffany Fitzgerald So sorry to you both! Heather Diano I’m so sorry. Praying for you and your family George. Jamie Wolfe So sorry. Praying for peace, love you all! Tammy Morrison Rich So sorry. Prayers from us. Jeni Lucas Please know that you are all in my prayers. I am so sorry..
Heather Kellander Swimley Prayers for you all. Alicia Evans So sorry for your loss! Michael McGee Sorry to hear about this unexpected series of events. Here’s hoping all is well for you and Lisa in the future. If you need anything let me know. Amanda Haile All my love and prayers to your family. I’m so very sorry! Margarette Leggett Thinking of you Lisa. Kara Thomas I’m so sorry to hear it. I’ll be thinking of you. Thaddeus Weber Keeping your family in my thoughts and prayers. Corrina Ann Malantonio Clemens I am so sorry! You all are in my prayers. Colin Dangler Sorry to here about this Lisa….thinking of you and your family. Keri Stec I am so sorry for your loss. My prayers are with you and Lisa. Dawn Hamilton I’m very sorry to hear about your loss. Sheila Mcdermott-Lord Love,prayers, and healing thoughts your way. Christine Gensil Arnold So sorry for your loss. Sending prayers! Ethan Hoyt Very sorry to hear your sad news. Deborah D. Desmond Our hearts are with you. I will hold onto “Before I made you in your mother’s womb I knew you . . ” God knows your little one and you will, too. I followed the post that night with a blog post with 8 comments. I am going to share with you the story of our babies short life. I can only do this after support of family and friends and time. I have researched and read many stories online so I hope this story finds someone who needs it on their search. I am known for my internet research (Getting a Doctorate in Educational Technology now) so as soon as I found out I went all over the internet including reading medical references and just stories from people. There are many numbers out there but 10-25% of pregnancies end in miscarriage. This has been a long emotional week for my family and I. After 12 weeks of a hard pregnancy, we found out in an ultrasound that the baby did not have a heart beat. Not only the heart was not working we later found out but there was also a lot of fluid in the baby. Meaning that the baby was most likely something that would have never survived or had a healthy life out in the womb. But the world did not know this until this ultrasound. I was having a very hard and tiring pregnancy. Since I had a hard pregnancy with my first child, I hoped it would not be the case but it happening again was not that surprising. Looking back at it now I think it was much harder. But that is what Moms do, just keep going. Even last week I could barley stand for all the songs at church and put my head down for the sermon. So the three of us (husband, daughter, and I) went in for our normal 12 week ultrasound on Thursday. She started measuring and we saw our baby at correct size. Then they told us sadly that our baby did not have a heart beat. At first it registered as a fact. This first stage neither of us were that sad. It was like almost hearing news on tv. Like it did not apply to us. They let us sit in another room while a Physician Assistant (PA) (Doctor was out that day) came to talk to us. Our little girl was squirming because she was bored. We hugged and kissed her and felt extra blessed to have her and her there with us that day. After the PA talked to us it felt a little more real. She said she recommended a D and C -Dilation and Curettage Procedure). We were asking what happened next because both of us did not even look into this possibility before. We left and went home. No ultrasound picture and apparently no viable baby. The first hour was hard. Who do we tell? Are they sure they are right? How do we tell people? I then went into all the things that won’t happened as planned. No summer due date. No sibling for my daughter. Not having kids 2 1/2 years apart. It does not matter who takes our daughter when I deliver or who goes with us to have the baby. I found a quote online that said something like “We were not expecting a baby we were expecting a life”. I thought we had so many years to grow and learn together. I have to admit we were very open about telling multiple people at an early time. I am still glad we did. We shared on facebook, Charlie The Cavalier, and others. I even wrote about my first pregnancy that became a book with 3,000 download and over million blog views. This time we even took video of how we told people which I will always have now. So you could imagine a little more how hard it was to tell these people one by one. But in my faith I realize that this baby had a life. The baby has brought us love, joy, patience, and kindness. Us as in the world. Every person who reads this. Every doctor, nurse, and helper we saw at the hospital yesterday. Every person who read the message on facebook because they are close friend or someone we have not seen for years. Our second baby touched many lives. People felt emotions that they will never be able to take away. I hope these emotions will help them in the future in their own walks of life. After calling a few people, and my husband was there every step of this process I went to the internet. I read and read. So many sad stories but helpful stories in our journey. What was the next step? After much thought and a decision from both of us we decided for the D and C. There was really only two options. I could have my body naturally birth the baby (which could be a long process, and all the stuff may not come out so we would have to do a D and C anyway.) Or a medical procedure in the OR. Since I am not a medical doctor I will define a D and C here: Dilation and curettage (D&C) is a brief surgical procedure in which the cervix is dilated and a special instrument is used to scrape the uterine lining. I did not bleed at all even the day before surgery so I knew a natural birth would take while. My water did break the night before but still no bleeding. But we decided on the D and C.
This is where it got weird for me and I will share this part of the story for others (may get weird here). So they scheduled the D and C for Monday. 4 nights and 3 days away. I got really upset. I am going to have a dead baby in my body for all this time! I live in America people, why can’t you take it out right now? There were so many emotions at this point. The next morning was a Friday so I called to have it done that day. No openings, and no willingness to let me go somewhere else. The baby was in there until Monday. At this point I started to lose my pregnancy nausea and sickness. After 2 months of it I started to feel physically better. Energy again and wanting healthy food for my body, but still too sad to actually cook for myself. Looking back this time was good. We got to morn and say good bye. The baby was not hurting me and for thousands of years and still now woman’s amazing bodies can do a great job of releasing the baby itself. But I had to go though the entire weekend with a dead baby inside of me. That night I ground my teeth so hard that my jaw was in more pain then I ever felt. I took pain medicine for the first time in months, because I could now, and was still in jaw pain all day. My husband said it was a physical manifestation of the pain I was feeling inside. We told our daughter that there was no more baby but we knew she did not fully understand in the beginning so it was ok. Later that week she did mimic my sad cry and I felt bad for that. But this is part of life and I am sure she will sad cry herself one day. That weekend we became closer as a family getting pictures with Santa and going to church. But Monday was coming and I was scared and relieved. Much amazing love, stories, and food poured in to our house. My husband and I never felt this loved (even when we had our little girl). We were not alone in this journey nor are we ever. My husband and I have a good idea of our faith so it was not shook. We knew this was not done to us or our fault. We had close friends go though a similar journey last year that we tried to be there for. But each thought of a baby is unique and we will never get them back. That same friend said our children are playing up there in heaven together. If you think of the movie heaven, it would be nice to think that our grandparents are holding and playing with our little ones up there before we get a chance. While that is not my complete thought of heaven, it is still a good thought on earth. Monday finally arrived. We drove to Danville, just the two of us, and as we always do on car trips we talked. When we got there it was very overwhelming. Big place to find a parking spot. Long walk since we did not know where we were going. A scary amount of people waiting in the Operating Room for loved ones. Even a beeper to tell when when to get started. I can’t even begin to tell you how strong and helpful my husband was though this entire process. I get back to the table and get bombarded by papers. Sign this. I get wired up. Sign this. More wires. Then the IV. I don’t have the best veins so I was praying for a good one. After digging around on my left hand they finally got it on my right. This is when I got most scared. How did I get myself here (I am an internal person). This could have happened with our other daughter. How could I let myself do this to my body again? I could find myself in this situation again. There is where my anxiety really kicked in. Nurses, doctors and assistant kept introducing themselves to me. They would tell me their names and I would forget. Rushing around occurred for paperwork, and wires. Other patients were getting the same treatment around me. Other people were being rolled by on stretchers. What are they here for? Are they ok? Is there anyone else here for a similar procedure as I am today? When do I fall asleep so this can be over? Then they let me have a warm air blower on my bed which calmed me down. I told them it was the best part of my day so far. In case you were wondering, again not a doctor, I had an IV in, a blood pressure cuff on my arm. The finger pulse thing. Three electronic things on my chest. Compression socks which this very nice nurse struggled to get on. And compression air bags around my legs to keep pressure while I was asleep. The rest was a blur. They put medicine in my IV, rolled me in to the OR, I was bright light, and people chatting and giggling (in a positive way) in a room and I was out. I woke up pleasant but I still cried. Happy it was over but sad it was done. They let me have more medicine and it was time to go home. Minimal bleeding was occurring and I was not in pain. I was wheeled out of the hospital as my husband picked me up in the car and we went home. My parents were watching our daughter so it was nice to see them. I was not tired so we chatted, ate, and I got to see them interact with our little girl which is always fun. I was not in pain and very little bleeding. It has been a difficult few days for our family as we found out on Thursday that the baby did not have a heartbeat after growing for 11 weeks, 5 days. Our family has been extremely touched by all the love and support that we’ve received over the past few days (in the form of kind words, support, stories and food) from so many people. We know that this child was loved by so many even though the baby didn’t get to say hi. More than anything this child has left a lasting sense of love and hope on our family and while very sad for all of us, this will help us as we move forward. Lisa is healthy and the doctor stressed that this will not put future pregnancies at increased risk. After doing research on the internet there was not much from the subject. We got many likes and comments which made us feel not alone. Again, I am still happy we shared our babies life and journey with everyone, no matter how short. I am glad that I got to do the D and C. I did not love the medical stuff but I am glad it is over now. The process could have been long and turned into the same procedure anyway. I have read that some woman are able to hold their baby after giving birth at home. While I would have liked that, that is not part of my story and does not happen for all women. The ultrasound results in our reading show the baby would not have made it to full term. It is nothing we did or could control. Well probably what the lucky sperm and egg did. I realize that I was more sick that I probably thought I was in the beginning. I have energy and life again. We hope to try again in the future for a different child. We can never replace the one that we lost. But hopefully I will be less sick with the next with a healthy child. We called our first child the bell curve baby because almost everything she tested she was right in the middle. Even born on her due date. We feel blessed to have a healthy child, be healthy parents, and have the love and support that we do. We will move forward changed people. I said I feel like I aged 5 years in one week. This time it was not from loosing sleep. We are grateful for the doctors, nurses, and support staff who helped us though this process. I know they do this every day but this is a very personal thing to my family that they were there to support and bring us though. We were strangers to them at one point but each one of them have made a difference. I’m so sorry to hear about your loss. Please be gentle with yourself and allow yourself to feel anything you need to feel. I lost pregnancies #1 and 3. I understand your feelings about carrying the baby after it is gone – with both of mine, I opted to go the natural route and it took my body about 3+ weeks to realize the baby was gone and start the process of letting it go. Those weeks were hard and seemed unbearable at first, but they really did give me a chance to mourn and truly work through the losses in my own way. I also came away with the very strong feeling that I may need to draw on my experience someday. I now have a daughter, and with statistics the way they are, she may suffer a loss someday too. If so, maybe my experience will be of some comfort to her. Makes it all seem like part of the cycle, kwim? So glad to hear that your health is good and that you are writing. There is a huge community here to hear you and help you. Much love to you. So very saddened for you and your families loss. You’re one of the toughest people I know and know you can get through this. Your family will anyways have an angel looking over you! Make them proud! Lisa I am so sorry for your loss. I will be praying for you and if it’s ok would like to add you to our churches email prayer chain. MT loves you and Maria. Let me know if I can help in any way. Thank you for everyone love, stories and support. Thank you for sharing your story. It can be difficult, but cathartic to do so. Although my “baby” is now 10, I had five miscarriages getting my babies here, so I know something of the pain you’ve been dealing with. Like you, I was very open about it and have written about some of the experiences. By being open, I found people began to send those who lost babies to me and then I could, in a small way, comfort them. Of course, I was the one really being comforted. I’m sure your post will help others who lose their sweet children, too. Thank you for posting this. It’s been almost a year for us since we lost our baby we named Charlie. I was 9 weeks. Went through the same procedure and waiting period. I lost it at the hospital though. I do imagine Charlie with my grandfathers in Heaven. Thank you for your comment. I find comfort to feel that others had a similar journey. Many personal messages were also sent to me with 18 woman telling me of their miscarriages that I have not heard before. Many of the private messages I received on facebook will always be remembered. Personal stories of other families loses were comforting. We received many homemade dinner and our fridge was filled for 2 weeks with food. Baby #2, we love you! You will always be remembered as a child of God and a part of the world. A picture of our growing family while I was pregnant with you.